To mark the 10th anniversary of the Australian Academy of Law (AAL), the 90th anniversary of the Australian Law Journal (ALJ), and the 30th anniversary of the Pearce Report on Australian Law Schools, the AAL and ALJ presented a national conference on the future of Australian legal education from 11-13 August 2017. 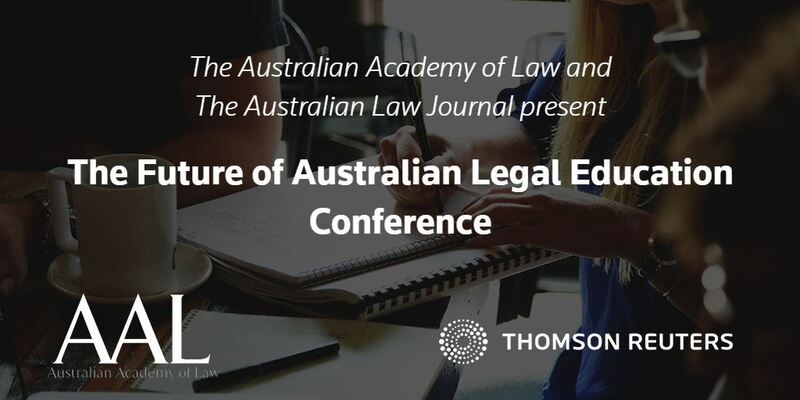 The conference was sponsored by the AAL and ALJ publisher Thomson Reuters, and supported by the Law Council of Australia. The conference provided a forum for an informed, national discussion on the future of legal study and practice in Australia, covering practitioners, academics, judges and, of course, students. The conference keynote speaker was internationally acclaimed Professor Martha C. Nussbaum, the Ernst Freund Distinguished Service Professor of Law and Ethics, appointed to the Law School and Philosophy Department, University of Chicago.